If you are looking to live stress and worry free, in a more joyful and playful way, then Laughter Yoga is a great way to reach your goal! The laughs begin consciously and through the guidance of the Laughter Yoga leader, the conscious “fake” laughs will change into real laughter. You will feel a mind, body, and soul transformation over time. Laughter Yoga started in 1995 by Dr. Madan Kataria in Mumbai, India and combines yogic breathing techniques with physical laughter exercises and playful behavior to achieve an alert mind and relaxed body. While researching for a family practice newsletter, about the effects of laughter on health, Dr. Kataria went out to a local park to test the information he’d gathered. Within a week he had fifty people laughing with him every morning. Today there are several thousands of laughter “clubs” in India and sixteen thousands world wide, in more than 100 countries. 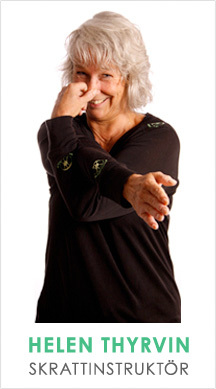 Laughter Yoga can be practiced by anyone, young or old without regards to culture, gender, religion or disabilities. It’s a great way to start the day before innovative thinking in business groups, children at school, prisoners, etc. Laughter Yoga is a great way to connect with others and some use it as a peace tool. The mission of Dr. Kataria is to Laugh for World Peace. “Fake it til you make it” You stimulate your own laughter until it becomes real and flows like a fountain in Laughter Meditation. For some, it will come naturally, for others it will take practice to reach a state of real laughter. The oxygen supply to your body, lungs and cells is increased regardless of wether the laughter is faked or not, because the brain cannot tell the difference between a real or faked laugh. So, while “faking it” one still enjoys the physical health benefits of Laughter Yoga. All you need it the desire to let go and laugh, to be playful. However there are some constraints and warnings for people who have recently undergone surgery, have heart problems, colds, angina, and bad allergies or for those who are pregnant or are on heavy drugs. In these cases it’s best to consult one’s doctor before participating in Laughter Yoga and to stop if discomfort arises. No strain and no pain are important as the laughter begins gently, until one just lets go. Laughter is a physical exercise, not a mental one. Twenty seconds of hearty laughter can double one’s heart rate. It is suitable for nearly everyone giving a vital boost of oxygen promoting good health. Our internal organs function better because they are massaged by laughter. Our complexions become more lustrous from laughing. You will look younger! Laughter builds lung capacity helping athletes and many with asthma. Laughter changes the chemicals in the body making the mind more peaceful. Studies have shown a decrease in reoccurring heart attacks in patients using laughter therapy. Laughter releases endorphins and other chemicals in the body to reduce pain, lower stress and build the immune system. Laughter relaxes muscles and reduces blood pressure. A practice of Laughter Yoga will increase one’s well being both in the short and long term. Problems and obstacles seem smaller and are more easily overcome. Laughter Yoga consists of a series of exercises developed by Dr. Kataria, which we use to generate laughs. Fake laughter first, changing to real laughter because of the continuous connection of the group dynamic and because to the contagiousness of laughter itself. Eye contact is a essential component of these short exercises as is deep breathing and clapping, “ho ho ha ha ha.” Some of the exercises are based on fun, others on yoga and still others on love, forgiveness and appreciation of one another. We start together and end together in laughter with each other, not at each other. We become more joyful and positive when looking into each other’s smiling faces. We look into one another’s eyes and the laughter becomes contagious. In 2001 I became a Laughter Yoga instructor. I have studied Laughter Yoga with Dr. Kataria several times, in Sweden as well as Laughter Therapy with Annette Goodheart from the United States. In January 2007 I got my certificate as Laughter Yoga Professional teacher in Kerala, India from Dr Madan Kataria himself. This means I can certify new instructors. I have run free laughter meetings in various premises in Linköping over the years and also a laughter club. I am also Ambassador for the world for Laughter Yoga since 2015. ”Aktuellt” shows recent and coming activities. Group bookings and Laughter Yoga instructor courses are welcome; please send your enquiry by email. The laughter movement celebrated 20 years 2015. And also 10 years for Helhetstanken, my company. In 2017 the first international Laughter Conference was being held in Frankfurt with delegates from more than 35 countries. I was then a speaker in a seminar about my work mainly in businesses in Sweden. The company HT Helhetstanken moved to have its headquarters in Stockholm in 2016, but Helen travels all around Sweden and also abroad in laughter projects and missions. Teaching job has been in Communication, Marketing, Entrepreneurship and International Business. Today I am a coach and vocational guidance councilor in Stockholm part time. I have an MBA in international marketing, a teacher’s degree and master studies in public health. For the past 15 years I have been working with school development both with staff and students, i.e. working methods, examination and contacts with companies, universities and private groups. I am an ICC coach and a Scandinavian Hattie facilitator. I also coached teachers and students with an entrepreneurial approach and innovative thinking, incorporating study and vocational guidance. For several years also as a consulting job working with product development and students at a national health organization based in our region. Over four years from 2010 I was appointed a governmental ambassador for female entrepreneurs and continued to mentor a Malaysian businesswomen as part of the Cherie Blair international mentoring program for women. For more than ten years, my company promotes happiness and well-being through leadership training, workshops and seminars and programs for stress reduction, attitude change and joyful behavior. I have been a keynote speaker since 2007 and in 2014 was a Sensei teacher at the Berkeley online course Science of Happiness. Currently I am involved in a happiness training license program with South African partners as one of the directors at the Happiness University and we have worked with orphans in shanty towns in Cape Town. I run workshops about happiness, joy and laughter at national and international events. Lately I spoke at the European Lachkonferens in Salzburg, and also at International Thinking conferences in Sweden, Ireland and New Zealand and Bilbao in Spain. I have also been part of coaching practices in the US at Globalminded education.